It looks like you've been really loving JotForm! We noticed you have exceeded the number of form views for your account. 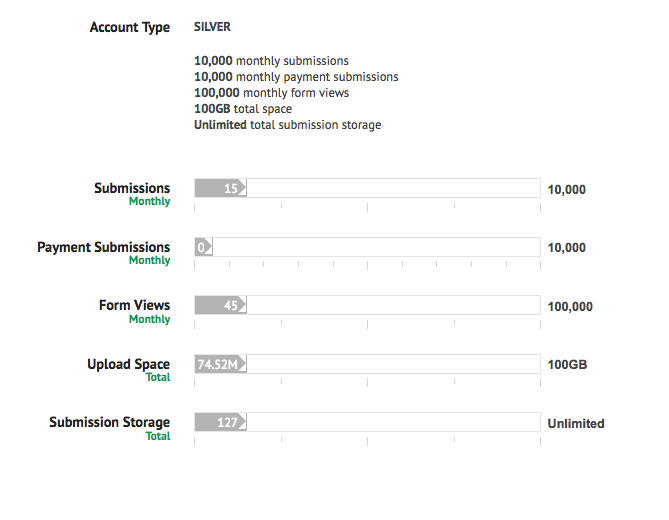 BRONZE accounts are given 10,000 form views per month. I just reactivated my Jotform account a few weeks ago and have had only a few dozen form completions and MAYBE 100 views since then. How is this even possible? Who is viewing these forms -- what IP address, etc? We're really sorry for the inconvenience you have. As I have checked your account, I have seen that your monthly form views did not reset automatically for a long time because of some technical issues in your account and it seemed to have more than 15k. If you need further clarification, please let us know.